Medical Director of the clinic. Dr. Michael Rosovski is a specialist in oral rehabilitation from Tuft's University in the US. 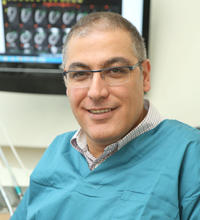 In Israel, he trained at the Hadassah School of Dental Medicine in Jerusalem, and served as a regional HMO director. 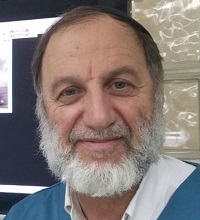 Today Dr. Rosovski is a member of the Jerusalem district court of the Israel Dental Federation, and is recognized as a world-renowned expert in mouth and jaw rehabilitation. Have confidence in the outcome of implantation and the rehabilitation process. Judge at the courts of the Dental Association. Medical Director of Kupat Holim Clalit Smile Clalit. 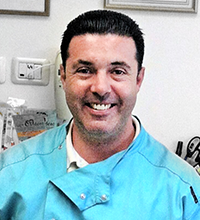 Dr. Haddad is a graduate of Tel Aviv University with extensive experience in dental implants and prosthodontics. He specializes in various methods of implant operations and oral rehabilitation. Dr. Haddad gives personal attention to each patient and is known for always having a smile on his face. 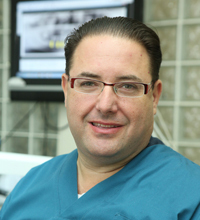 Dr. Ben Shushan is a renowned oral and maxillofacial surgeon with decades of experience. His expertise has helped in treating thousands of patients, including complex operations and treatments such as dental implants, sinus lifts, bone building and complex extractions. Dr. Ben Shushan is a specialist in oral surgery from the University of Lyon, France, and holds an MD from the US. In addition, he was a surgeon at the largest hospital in Lyon, where he also trained students of medicine and surgery. In terms of research, he has published many articles and has participated in studies in the US. But most importantly, Dr. Ben Shushan is a warm and welcoming doctor who takes care of his patients' experience and will be successful and pleasant throughout the entire process. Dr. Joshua Cohen arrived from Boston, USA with several decades of experience in oral rehabilitation. He is known for his expertise in performing long and complex reconstructive surgeries and for the excellent results his patients regularly see.